A flash cart manufacturer believes that Nintendo's new update can't be circumvented with a software patch. If you happen to use a flash cart on your 3DS for homebrew games and apps (or other, more nefarious purposes) you may be in for a nasty surprise when you perform the next firmware update on your device: Nintendo's latest firmware release will render most of these cartridges completely useless. Super Card, a flash cart manufacturer, posted an announcement on its forum stating that the new update checks for a feature that is not present on current flash carts, therefore making it a hardware defect. The company goes so far to suggest that "95% of the card in the world will be blocked", and a number of factories will most likely need to abandon current card designs due to the latest checks put in place. Certain cards such as the DSTwo, however, still appear to still work after an update of their own. 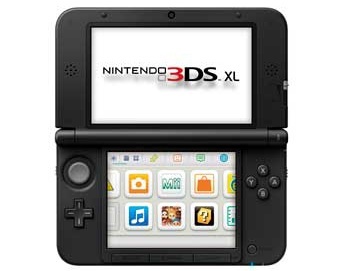 It's believed that Nintendo's update was released in anticipation of an upcoming hack which would allow users to extract ROMs from official 3DS cartridges. The release notes for firmware 4.4.0-10U do not mention anything about anti-piracy checks on the system; this update (and the four that precede it) simply adds "further improvements to overall system stability and other minor adjustments...to enhance the user experience".